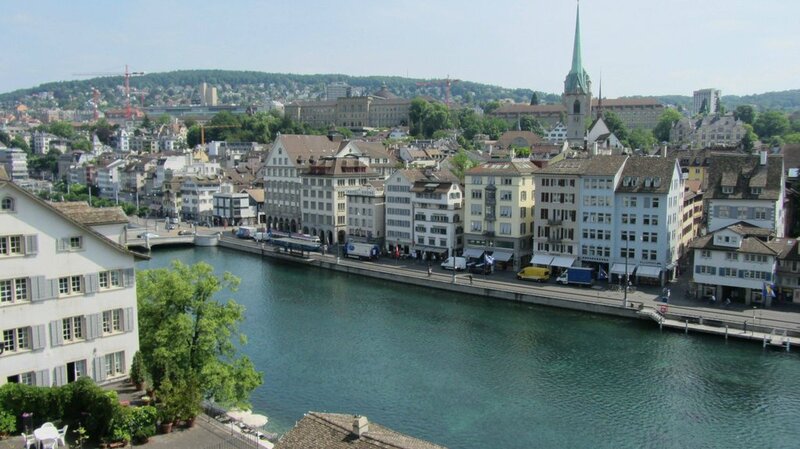 Johannesburg to Zurich flights booked on this page qualify to earn travel vouchers in the world's only program where they are given away for reviews to all-comers. Simply email a writeup of your flight to cheapflights@southafrica.to and we'll send you vouchers - simple. Pro tip: send photos for bigger vouchers. 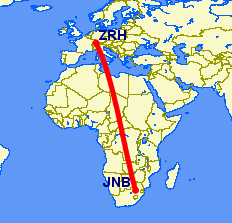 It's only Swiss Airlines who offer direct flights from Johannesburg to Zurich, but this is somewhat made up for by the plethora of 1-stop options. If you're not flying with Swiss, do be aware that you may experience a long layover. 1 July 2014. Etihad launches daily flights from Johannesburg to Zurich, via Abu Dhabi. 1 January 2014. Emirates switches from B777-300ER to using an Airbus A380 on its Dubai to Zurich flight route. 3 April 2012. A new arrival lounge is opened for SWISS status & SWISS business & first class passengers at Arrivals 2 at Zurich Airport, from 05h45 to 13h00. The lounge includes 20 showers, an ironing service, 3 bedrooms (1 with a private bathroom), a bistro area, a private telephone cubicle & work stations with free W-LAN. Once in Switzerland you may want to drive out into the Alps. 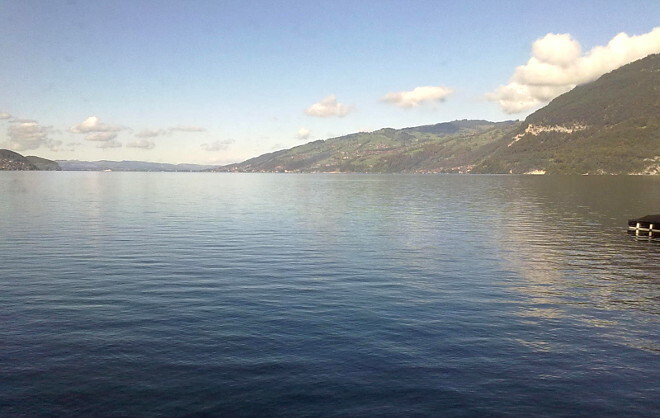 Here's a photo of Interlaken in Switzerland.